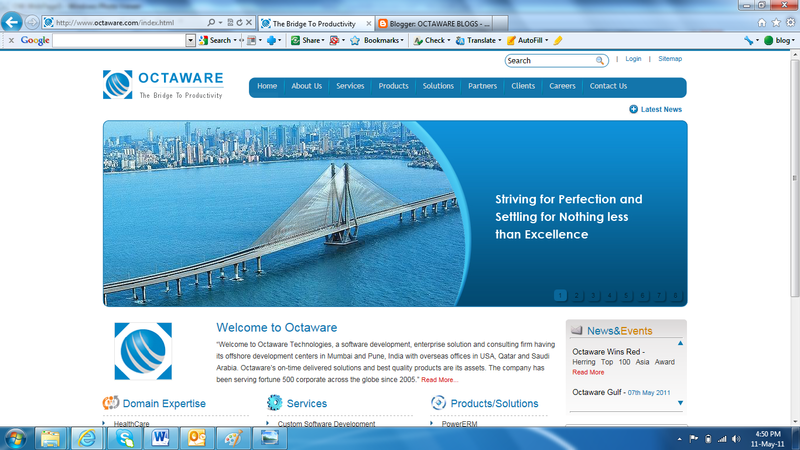 Octaware launched its newly revamped website today, 11th of May,2011 at 11am. It was indeed a great moment for the Management and the entire Octaware family as the hard work and labour finally bore fruit and turned out very beautifully. 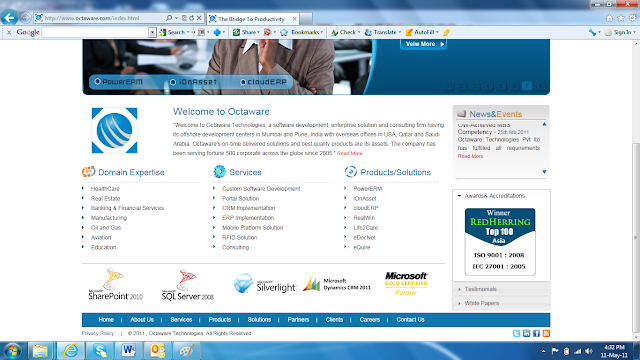 A lot of pain-staking efforts went into this website which was developed completely in-house, and each and every aspect was worked on with minute detail while developing and designing the website. 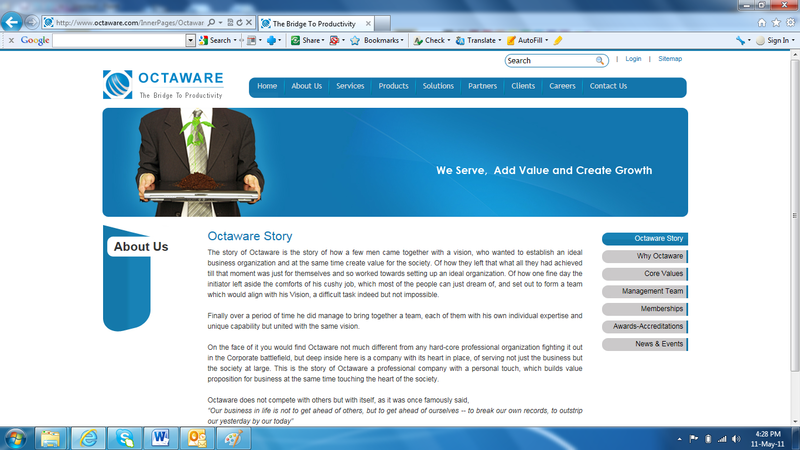 Finally, the outcome seemed to be well worth the efforts as the new look and feel was well appreciated by one and all. The event was celebrated at its Development Centers in Mumbai & Pune over sweets and pastries.